Japan is the country of Anime and Manga. And of course of Cosplay! One of the main purposes of my last trip was to go shopping for my World Cosplay Summit Cosplays for next year in Japan. We not only visited several Cosplay related shops in Japan but also in Taipei and Dubai. All countries have a large choice of fabrics, wigs and other small materials like laces or gemstones. 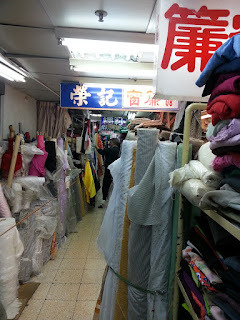 Taipei is well known for cheap and good quality fabrics. 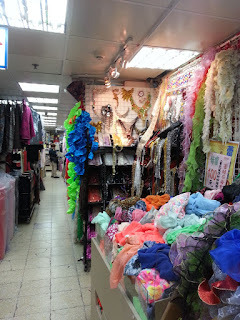 We visited the Yongle Fabric Market and found a large choice of fabrics and dry goods such as laces or gemstones. The most fabric shops are located directly in the market at the 2nd floor. If you are looking for dry goods you should leave the market and take a look in the side roads. Be aware that nearly no one speaks English and that they are making different prices for foreigners. If you can speak Japanese you can be lucky. We communicated mostly in Japanese or just pointed the fabrics we wanted to buy (this only works if you don’t have any questions…). You can bargain if you are buying a bigger amount of fabrics, because there are no prices shown. Special fabrics, like embroidered ones or Chinese ones where quite cheap. But if you want to buy normal unicolor fabrics be aware that it could be more expensive than in Japan or Germany. But if you are looking for high quality and special fabrics you can make a good deal. The dry goods had all price tags. Bargain wasn’t possible, but if you are buying a bigger amount they just give you some free dry goods. We could found a lot of awesome stones and special accessories for Cosplays for a very good price. We weren’t satisfied with the choices of laces and most of the shops sold the same items. Also be aware that high quality stones and gold laces are easier to get in Dubai for a cheaper price. We were very disappointed regarding to wigs in Taipei. We only found one shop who offered cosplay wigs for order. Because we had only a limited time in Taipei we didn’t looked further for Cosplayshops. But we got the advice that you can buy good Cosplay accessories in Ximending. Recently a lot of people asked me how much I am spending for a Asia trip or a trip to Japan. First of all; Japan is an affordable country, cheaper than Germany. Food, accommodation and travel expenses are very affordable. The problem is, that a lot of people are just to going to the travel agencies or do not spent enough effort and time for the preparation of the trip. I think it is ok to spent more if you don’t want to spent time and effort. But be prepared to pay for it. You need to realize that the people who are spending this time for you want to be payed. So of course its more expensive if you want to save time. Booking and planning by yourself may save you money but be aware that in Japan nearly no one speaks English. Even in the 4 star hotels. If you want English speaking people I would recommend Hostels, because they are used to foreigners. Also be aware that no one will help you if you have problems with hotels etc.. Because there is no travel agency involved you also cannot expect service. This time I ve been in Asia for 5 weeks, 2 weeks in Japan. My flight (without stay in Dubai) would be about 560 Euro. I payed for Hotel and long distance traffic (night bus) 422 Euro. So the trip was about 982 Euro for long distance traffic, flight and Hotel. I want to note that we stayed several nights in a 3 star Hotel, 1 night in a 4 star hotel incl. expensive traditional dinner and breakfast course. We only stayed 2 nights at a Hostel. So you can guess that you can cut more expenses if you don’t need a 3 star hotel. We also visited 6 different cities (not next to each other…). If you decide to stay in just 2-3 cities you also can cut travel expenses. The most important thing is to book early. I normally book the hotels a year before and just check every two weeks if there are cheaper and better hotels on 5-6 different websites in the internet. Of course this only works if you can cancel for free. 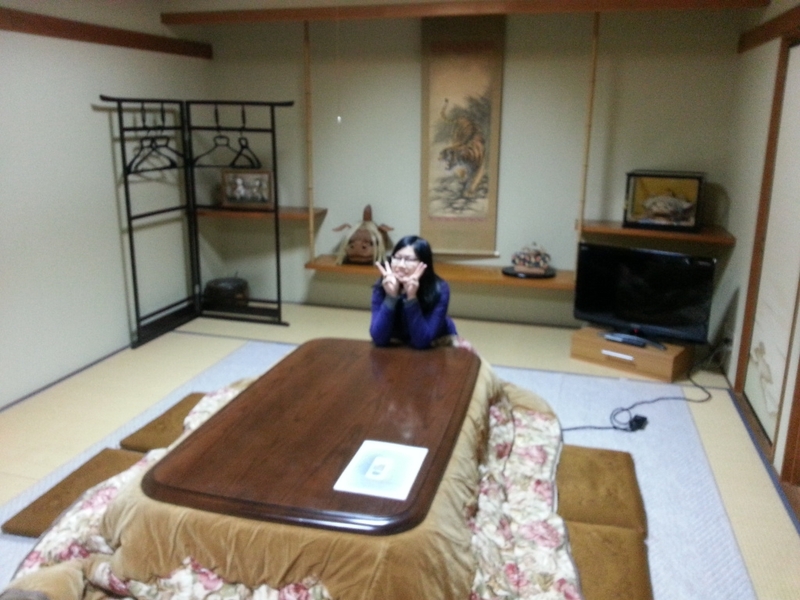 If you can speak and read Japanese you have bigger chances to get cheaper accommodations. Also traveling with a friend can save you money, because you are paying mostly the same price even if you are staying alone in a double room. When I am looking for flights I use different websites to find the cheapest and best flight. If you are paying more than 600 Euro for a flight (notable airline, normal transfer time) you should wait a bit or just over think your traveling time. The cheapest flights are usally going on Wednesday /Tuesday in the afternoon. I don’t like to use websites to compare the flights because they don’t show all notable airlines. I like to check the flights directly at the airlines website and book it there. The flights might be cheaper on other websites but they often charge you a large service or paying fee. I recommend Emirates, cheap and very good. You can also check in as much baggage as you want until 30 KG. So if you like to buy figures in Japan you don’t have a problem with the volume of your baggage. Normally I am paying for a 2 star hotel in the center of the city, next to a public transport hub 50 Euro for a double room (60 incl. breakfast). Of course it depends on the currency exchange. If you don’t care about an own bathroom you can also use a Hostel. Japan is a very clean and service orientated country, so even if you are staying cheap it is still good. 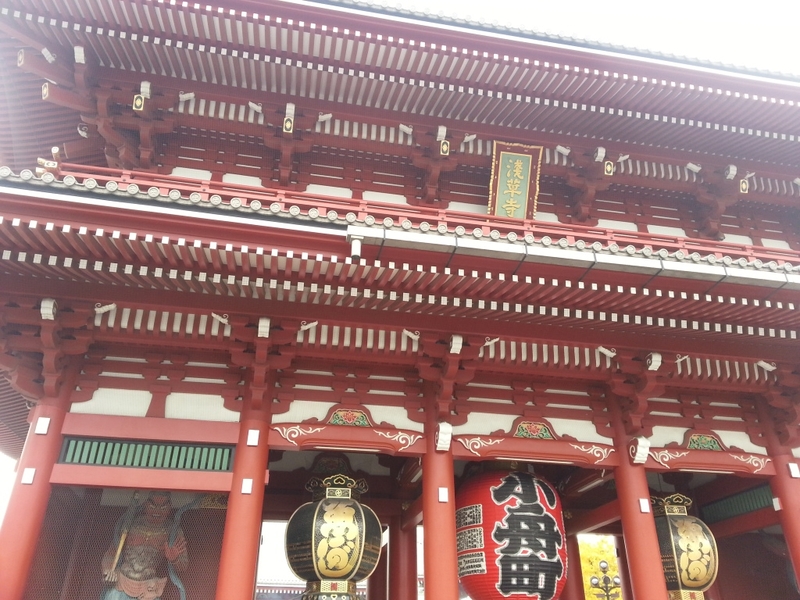 We stayed in Kyoto (one of the most expensive cities regarding to accommodation in Japan) in a very beautiful and clean Hostel for just 14 Euro a night/ pers. (private room). It was cheap but we got a 4 star service and English speaking staff! If you like to eat a lot for breakfast I recommend to book a Hotel including breakfast. You can cut food expenses because the breakfast you get is mostly buffet style. Just be prepared that you might get fish, rice and miso soup instead of bread. A lot of people are using the Shinkansen or Japan Rail way pass. Be aware that you cannot use every bus, train etc with the JR pass. If you are unlucky you can only use this pass for the Shinkansen but have to pay additional for the public transport. Even in Tokyo the most lines are not run by the JR but by other private companies. If you want to use the Shinkansen a lot or don’t want to travel by bus, a JR pass might be right option. Just be aware that you are paying a huge sum for comfort. If you can sleep in a bus (not normal busses; night busses with extra leg space and special designed seats) I recommend using the nightbus. We payed for Kyoto to Tokyo about 31 Euro (one trip). If you are taking the Shinkansen you would pay about 100 Euro (without seat reservation). Because you are taking the night bus, you are saving one night in a Hotel and don’t lose precious daytime for sightseeing. If you are going by Shinkansen it is of course faster but you are loosing 3-4 hours of the day, need to book an additional Hotel and are maybe paying an additional fee for a seat. Of course If you cannot sleep in a bus, Shinkansen is still the best option. Because if you are tired, you cannot enjoy your trip. And using your limited time to the fullest is in my opinion the most important thing. I hope that this guide might help you a bit for your next trip to Japan. If you are interested I also can write about saving food and public transport expenses in Japan. If you have further questions don’t hesitate to ask. Thanks for all your support in 2015! 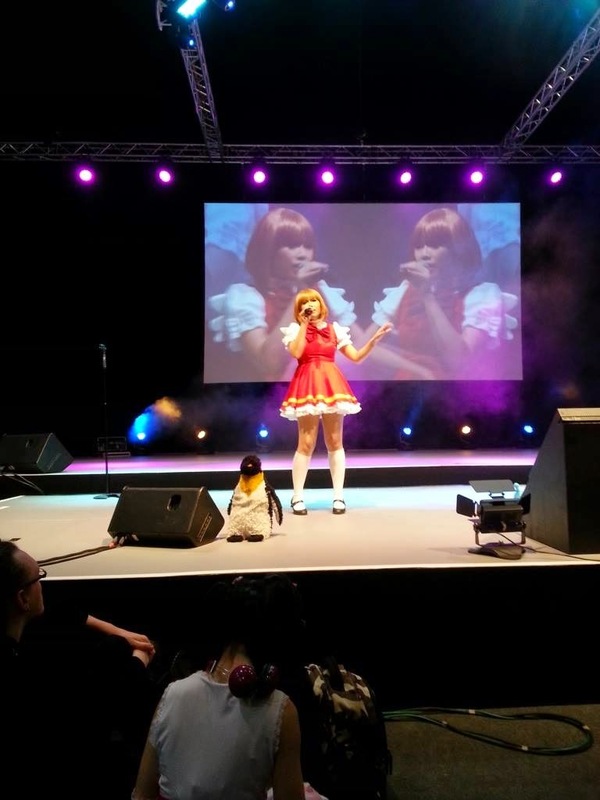 This weekend I gave my last concert for 2015 at the Mega Manga Con in Berlin (Germany). I had a lot of fun and could meet a lot of awesome people, friends and fans. 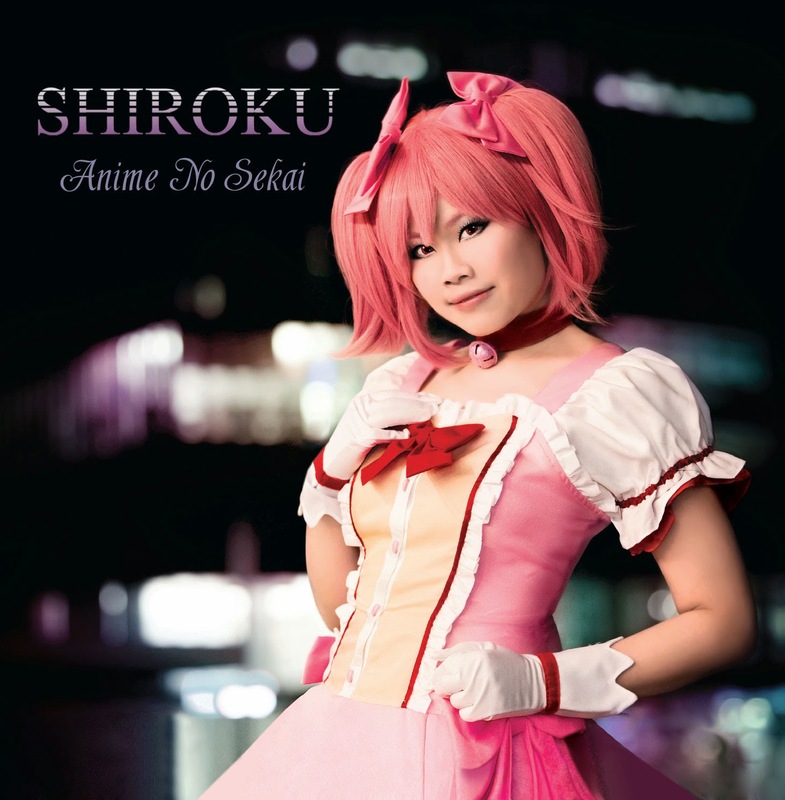 This year happened a lot and with 22 concerts and the new release of my pressed album "Anime No Sekai" I was quite busy. I could not only visited France, the Netherlands and Finland but also could sing in front of a foreign audience. Although it was not Germany the people rooted for me. Thank you! It was an awesome experience. Especially Finland! I was invited as the guest of honor and could meet so many sweet people. It was one of the highlights in my year 2015! 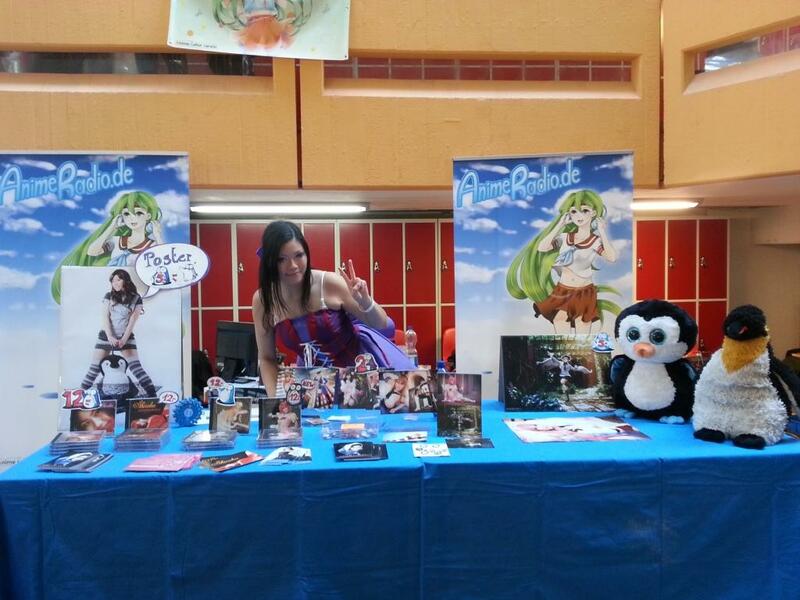 Thanks Kosucon for this great opportunity! 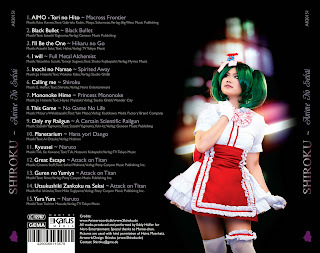 Another highlight was my album release "Anime No Sekai". It was the first time for me to produce a CD from scratch by my own hands. I could choose the songs and pictures, made own songs and lyrics and also designed the whole booklet by myself. It was quite challenging because I never designed something like this before but I had so much fun and can really say that "Anime No Sekai" is an album where I poured my whole heart into it. That’s why it was always a pleasure to see, that the people like "Anime No Sekai". Thanks for visiting my signing sessions and concerts, taking your time just to meet me and cheering for me. I feel so honored and lucky to have so many great people who are supporting me in the things I really love. Thank you! You cannot imagine how happy I am! 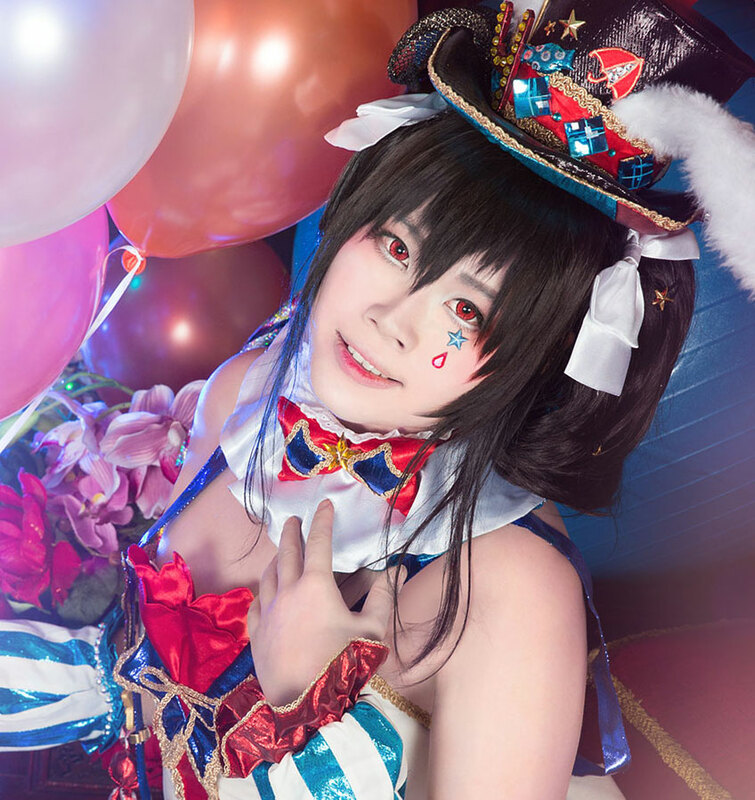 This year I also could participate successfully at international cosplay competitions. Thanks Chiko-chan for her support and patient and for being a really great partner. I was so overwhelmed that we could place 2nd at the German European Cosplay Competition Preliminaries. 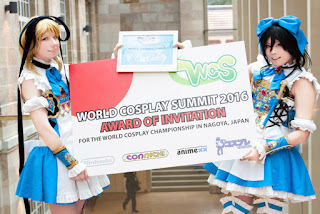 And I never even dreamed of becoming Team Germany 2016 for the World Cosplay Summit in Japan. Thanks everyone for your support and helping me to overcome my insecurities. I am very grateful to have so many awesome friends. Also thanks Marcus and Kai who are always doing a great job! I would not be able to manage all the concerts and schedules by myself. I am happy that you guys are supporting me in every way you can for a successful concert. Although it wasn’t always easy you are still by my side. And of course Eddy who always records the songs patiently and gives me so much freedom regarding to the songs. I am happy that I can record the songs I really love. I am so lucky and so happy that so many awesome people are rooting and supporting me. Thank you for an awesome year 2015! I hope 2016 will be as awesome as 2015. We still cannot believe it and are just totally overwhelmed. We are Team Germany 2016 and gonna fly to Nagoya next summer!!! 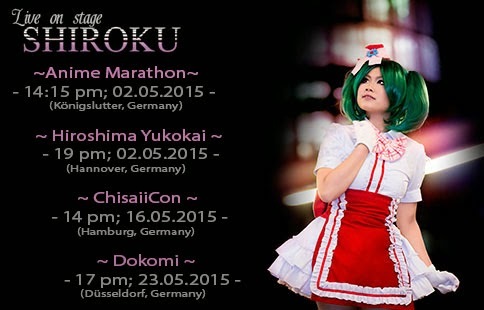 Connichi was great and of course also the World Cosplay Summit Preliminary Germany! 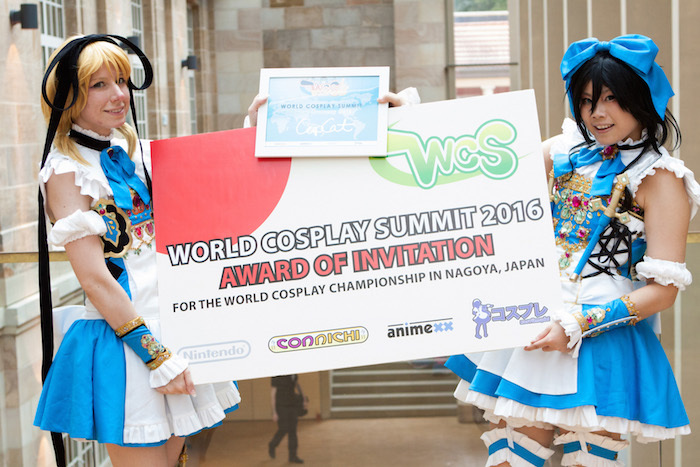 We are so happy to be able to participate at the World Cosplay Summit 世界コスプレサミット. Thanks for cheering and supporting us! Thanks myCostumes, Animexx and Nintendo for making it possible! And of course thanks for all the congratulations! We also want to congratulate the Runner-up Kasselfornia Girls, who also got the best costume award from Mycostumes with their really outstanding and awesome cosplay skills. Also our prop-pros Bakaparade with their impressive props and the winner of the audio award our amazing bees Rainbow Riders' Cosplaysalat! We had a lot of fun with all the participants and will start this weekend with the first preparations of the finals in Nagoya. Recently I am rarely using my webside, I am posting mostly at facebook or using other social media. I want to change it and write more about cosplay at my blog. I started cosplaying 2006. I was a beginner like everyone and needed to learn beneath sewing a lot of things. Even after nearly 10 years of cosplaying, I still need to learn a lot and are struggling with the “cosplayerproblems” everyone has. I am not perfect but I want to learn and to continue having fun at cosplay. 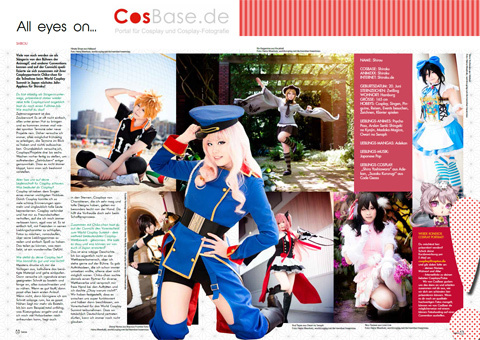 Recently a lot of people asked me for advices for cosplay shootings. Thats also why I was thinking about starting to write about cosplay. I wasn’t quite sure if I should post these advices, because I don’t think I am really fit to give them. I am also just a cosplayer who loves her hobby. 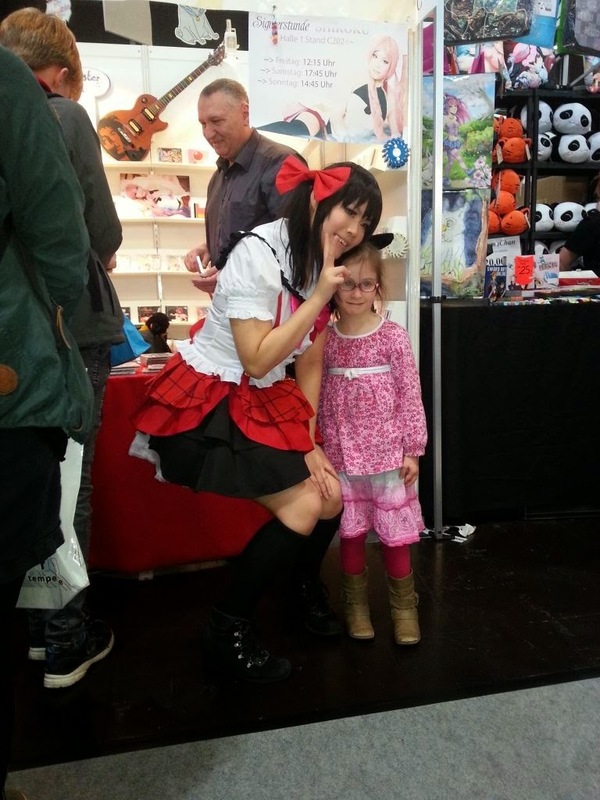 But I decided to write this post in order to give you a view of my way of “cosplaying”. I also want to state that this is my way of doing things. It does not mean they are right or the only way. I am also still learning (that’s why I am not sure if I am fit for this post…). In these pictures you see the same cosplays with the same wig and accessories! (Only the wig of the first cosplay is new, I lost it…). I decided to reshoot these cosplays and realized that I made a huge step. When I was a beginner, I only cared about the “clothing”. I didn’t pay much attention to the wig, the make up, facial expression or posing. I just cared about the “wearing part” and forgot the whole “being” part. Since I started to make more and more photo shootings I realized that cosplay is not only about the “costume”, it is also about the “play”. I love the characters I am cosplaying so it became more and more important for me to “play” this character. A lot of people told me, that the main problem is to find a suiting photographer. It is not easy, but it’s up to you! Choose your favorite photographer based on his pictures (do I like his style?) and ask them via direct message or at conventions. The typical way is to make a small shooting at a convention and event before having a private shooting. Make clear what for a shooting you want to do, when and where, which cosplay? If you have pictures, show them! The photographer can get a better picture of you and your way of cosplaying. It’s not easy, time consuming and I got declined a lot of times. But I didn’t gave up and found some photographers which I really like to work with on a regular base. What cosplays does he like? Does he have preferences? Where and when do you want to meet? Outdoor or Indoor? Do you need a special location? Does he need any assistants? Does he edit the pictures or do you need to edit them? Speak with him and plan. This way you can prevent a lot of miscommunication. And again check his pictures before to get an idea of his style and preferences. It’s also a chance to become acquainted with your photographer. 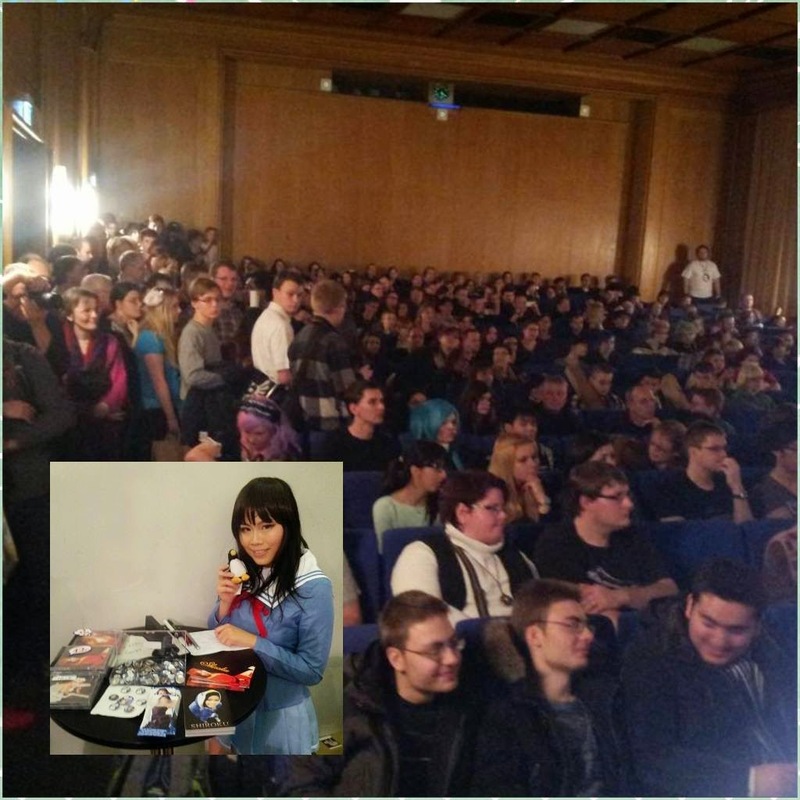 The cosplayer knows the most things about her character, also which location is the most suited one. I am normally doing the location scouting and asking for permissions. The photographer does not have much knowledge about your character and the anime. He maybe can give you a hand but that’s all. If you are going to shoot in the city of your photographer, he might know some good locations. But he just can give you advices, not more. (Of course it is different if he knows the character). Normally I am thinking about the character I want to shoot, speak about it with my photographer and look via internet for a good location. If I found something I mail or phone them and explain what I want to do at this location. You might pay a certain fee, to be able to shoot at this specific location. He takes his time for you and maybe traveled a long way only to shoot you. Most photographers are shooting you for free and are doing this next to their 40 hours a week job and private life. Don’t forget that they are shooting you volunteeringly. Don’t take it for given! Give them time to finish the pictures. Alone to select the pictures can take hours! Also editing is a very time consuming task. Just wait and be patient. Talk with him about the rights. Is it okay to use them at Facebook? 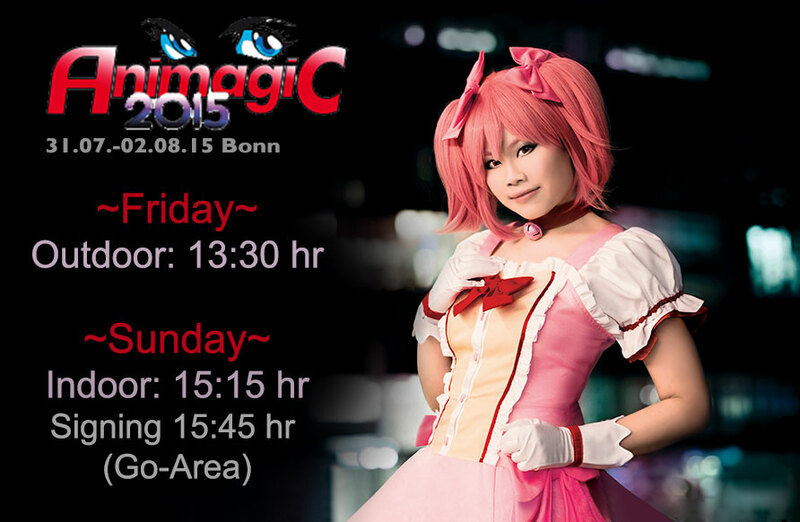 To make Coscards or to post them at Worldcosplay? Be aware that you are giving Facebook the right to sell the pictures if you upload them! If you need pictures without watermark or want to “erase” your dark circles. Ask them! I never had any problems; they all allowed me to make small corrections or to use the pictures. Just ask, I am sure they don’t mind and It’s a matter of respect! Finish you cosplay in time and wear it the way you want to see your cosplay in the pictures. Of course your photographer can change the hair color, eye color or edit small mistakes away. But be aware that these things are taking a lot of time and most of the photographers are editing the pictures next to their main job and private life. Don’t take it for given that he will edit the pictures for you. Give him a hand and make it easier for him! Pay attention to your wig. If you are buying a wig you get the wig unstyled. You mostly need to cut and style the wig, especially the bangs. If you transport your wig in a plastic bag restyle it before a shooting. If you are taking pictures, tell your photographer how the wig should look like. He can help you to keep your wig in place even if you don’t have a mirror. If you are wearing a long wig, brush, brush, brush!! I tended to wear no make up or always the same for cosplay. I realized that you really need to pay attention to the facial features of your chosen character. Face shaping is a very important thing, especially while crossplaying. Flashlight takes away all you facial contours. So point them out with make up. And don’t forget your eyebrows! They are very important for changing your face. Also be aware, that colorful wigs will “eat up” your eye shadow and blush. It might looks overdosed at the first glance, but with your wig you will have a natural and balanced look even if you have tons of color in your face. For shootings its much more important. Your make up might look exaggerate in the mirror but will look totally natural at the picture. Don’t underestimate how much the camera, flashlight and wig will “eat up” your make up. I recommend circle lenses and fake lashes. Every character is different; every character has its own vibe. The more you know about your character the merrier you can “play”. Make researches about your character; does he have typical poses? Is your character more the arrogant or cute type? Think about it and try poses and facial expressions in front of a mirror! Not everyone can make the same poses. I always need to lower my chin, because I have a chubby face and want to make it appear more “longer”. I also cannot smile too much, because I am showing too much teeth ridge. And yes… I needed a loooong time to realize that. So be aware of you positive features and use them as much as possible. I also tended to make poses, which hid my cosplay. You spent hours to make that cosplay so show it! It would be sad if you only have pictures, which are not showing you hard work. Practice, practice, practice! I always though that I cannot crossplay or cosplaying arrogant characters, because I am not able to mimic them. I still struggle with arrogant or manly characters but are trying to improve my posing and facial expressions. Don’t give up. No one is born as a perfect cosplayer! 2. Speak with your photographer. Do you have ideas? What pictures do you would like to make? Check the pictures, speak about them and try it again. You will be more satisfied with your results and have more fun. Trust me, if you are making shootings communication is the key! Tell him about you preferred poses and your “positive features”, remind him to lighten up your face properly and not to make pictures in the direct sun. You are also responsible for the results. Check the pictures and speak about them during the shooting with your photographer! Cosplay is not about others! Cosplay is about you! You don’t need to prove anything; you don’t need to force yourself! Do it to have a great time, to have fun, to make new friendships and great memories. If you feel uncomfortable, just don’t do it. But don’t forget and respect the wishes of your photographer! The most important thing is that you are happy and satisfied with your work. Don’t force you to something you don’t want to do and don’t force others. If you are doing cosplay with fun, the results will show it. I am not even near to be a perfect cosplayer and still have to learn a bunch of things. I just wanted to give some advices, because I needed a lot of time to realize these things. This is my way of cosplaying, it doesn’t mean it’s the right or the only way. It’s just the way I chose and I am happy if I can help you in some small points! I wish you a lot of fun for your next shooting! 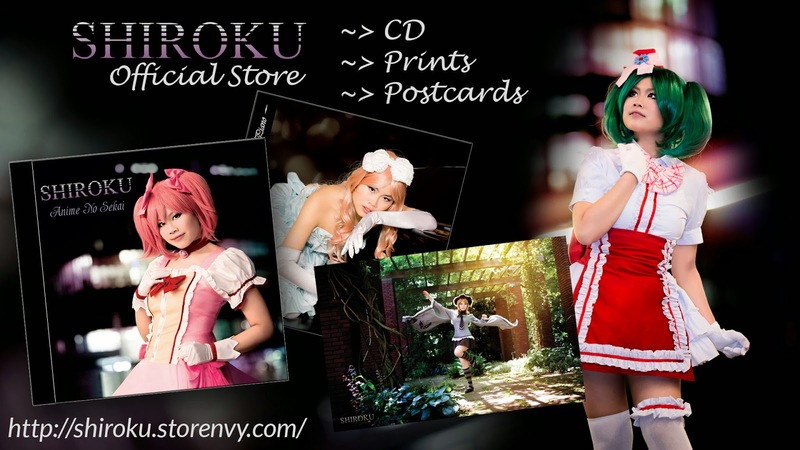 Thanks @yukan-graphy, meermiau, Silvermillenium, manga Box, chiko-chan for the pictures! I am so happy that I will give two concerts this weekend! 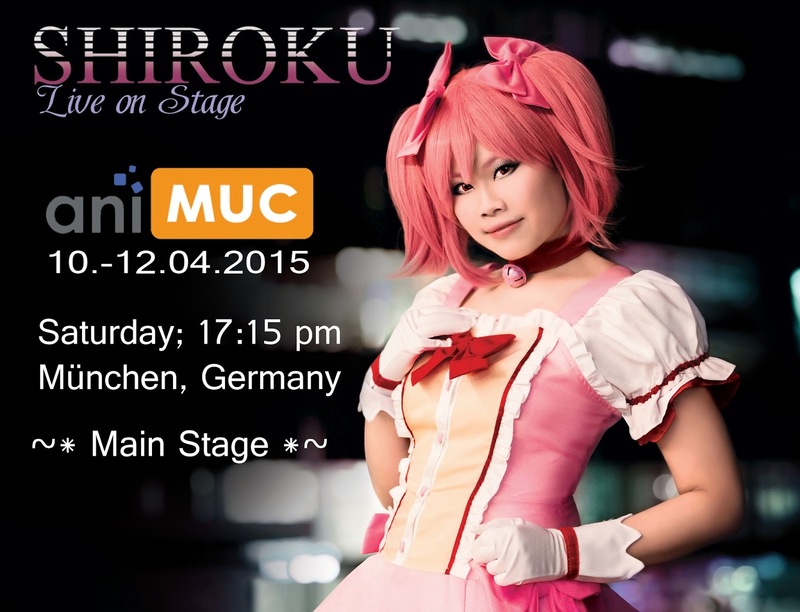 I am very happy that I am going to sing at the Connichi 2015 in Kassel (18.-20.09.2015, Germany) and also have been invited to the Kosucon in Finland (17.-18.10.2015)! 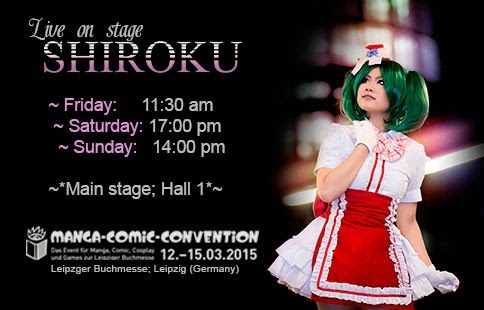 I also will have a booth in the Manga Comic Convention Zone (Hall1).